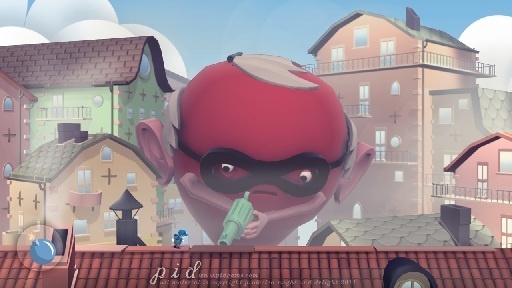 To celebrate nabbing the Innovative Newcomer Award at a ceremony organized by the European Innovative Games Award in Frankfurt, Germany, Pid developer Might and Delight has announced the release of 72 new levels for the Windows and Mac versions of the gravity beam platform game. These "Challenge Rooms" get right down to business and create some absolutely harrowing situations, most of which involve split-second timing and really sharp objects. Despite having most of the hallmarks of a game everyone should fall in love with, Pid has had a bit of a rocky existence. We had plenty of praise to lavish upon it in our co-op review, but ultimately the extreme difficulty was the game's undoing. Might and Delight heard the players' cries and released a patch that ironed out the rough spots and introduced a new easy mode, giving the physics platformer a new lease on life. The challenge rooms are available as a free update to owners of the Mac and PC versions of Pid. No word on an Xbox 360 or PlayStation 3 release.